The Tudor country home known as Redstone Castle (built 1899-1901), along with its Tiffany chandeliers and Stickley furniture, was saved from destruction by local citizens and a coalition of preservation organizations after being seized by the IRS in 2003. It has now reopened to the public as a resort. 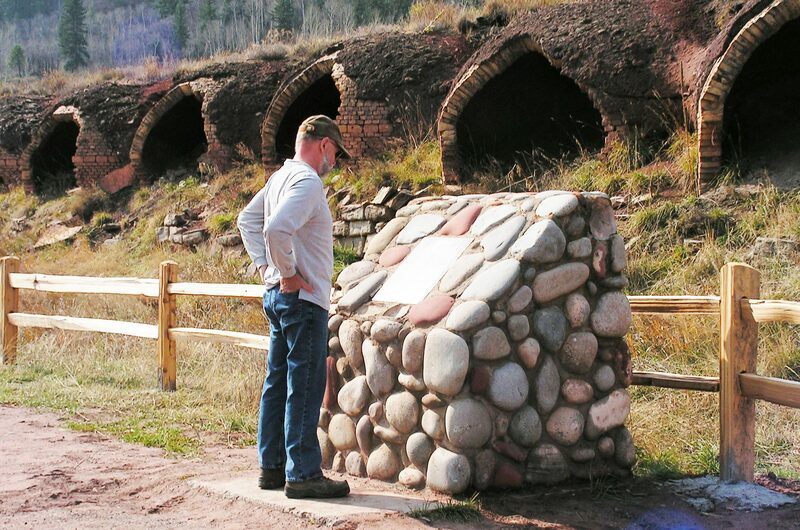 A visitor reads about the Redstone Coke Ovens. From 1900 to 1909 (and again from 1959 to 1961) the Redstone Coke Ovens transformed coal into high-grade coke used to produce iron and steel. Redstone, Colorado, (population 92) is an unincorporated area in Pitkin County, located in the mountains west of Aspen and south of Glenwood Springs. It was founded in 1889 by John Cleveland Osgood, who in the 1880s began building a vast coal and steel manufacturing empire. He eventually became the sixth richest man in America and was a contemporary of John D. Rockefeller and J.P. Morgan, as well as hunting companion of President Theodore Roosevelt. Osgood purchased coal mining claims at Coal Basin near what is now the village of Redstone, and in the late 1890s began construction of the village of Redstone. Redstone was a company town created for Osgood’s workers and their families based on Osgood’s unique social theory of “enlightened paternalism.” Osgood enlisted the services of the Denver-based architectural firm of Boal & Harnois to complete designs for all the buildings in the new village. Ultimately, they constructed 84 cottages and the 40-room Redstone Inn, all with indoor plumbing and electricity, as well as modern bathhouse facilities, a clubhouse with a library and theater, and a school. Many of those cottages are still used as homes. The coal from Coal Basin was equal in quality to Pennsylvania coal for coking. From 1900 to 1909 (and again from 1959 to 1961) the Redstone coke ovens transformed this “metallurgical coal” into the high-grade coke used to produce iron and steel. 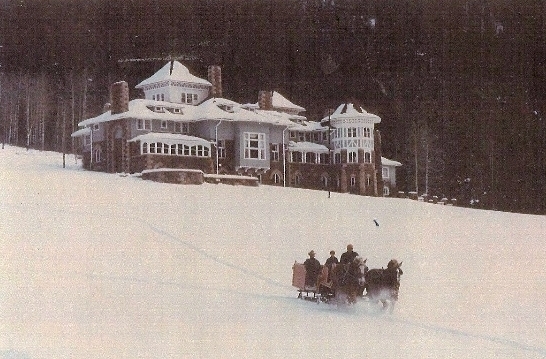 Just south of Redstone, Osgood built an immense residence for himself and his second wife, Alma, “the Lady Bountiful” (as she was known among his employees for her legendary generosity). The 40-room Tudor country home known as Redstone Castle (built 1899-1901), along with its Tiffany chandeliers and Stickley furniture, was saved from possible destruction by local citizens and a coalition of preservation organizations after being seized by the IRS in 2003. A conservation easement was put in place before the property was sold at public auction, and it has now reopened to the public as a four-season resort called the Redstone Inn. Public tours of the property are also given. This enchanting alpine village and National Historic District, located along Colorado’s West Elk Scenic Byway on the edge of the Maroon Bells Wilderness Area, offers world-class recreational activities and endless opportunities for adventure. Visitors to Redstone can enjoy fine dining, welcoming lodging, working artists’ studios, fine art galleries, and quaint shops filled with handmade crafts and antiques. The Crystal River flows along the entire west side of Redstone just one block off the main street, providing swimming, fishing, rafting, and kayaking opportunities.